Today we leave for a short vacation to the beach. While planning this trip, I was reminded of the importance of looking below the surface when evaluating a deal. When we first started planning our trip, we spent a good bit of time on Trip Advisor figuring out where we wanted to stay. Once we had it narrowed down, I started shopping for a deal. I found a reasonable deal online at one of the resorts that interested us. However, I had a few lingering questions, so I decided to call. Upon calling, I found myself speaking to a front desk clerk. After he answered my questions, I asked how much it would cost for the room type and dates that we wanted. It’s not uncommon to get a better deal by calling a property directly as opposed to relying on their online reservation system, so I figured I’d give it a shot. Upon further investigation, I learned that the better price was part of a “Buy 3 Nights, Get the 4th Free” special. But wait — shouldn’t that equate to a 25% discount? Not quite. The special was based on a higher nightly rate. A little shady, but ultimately no big deal. After all, the total price was still better than what I would have otherwise gotten. So… 10% off just for calling. It’s a no brainer, right? Not quite. The resort that we were dealing with has a 14 day cancellation policy. If you cancel at least two weeks in advance, you get a full refund. But if you cancel fewer than 14 days in advance, you forfeit the first night’s rent. Moreover, the free night is last night. In other words, if you end up checking out early, you forgo the discount entirely and wind up paying substantially more per night. Ultimately, by bumping up the nightly rate and then front-loading the deal, they’ve created a more enticing deal that increases their guaranteed money. This is similar to hotels that offer a “Best Online Rate” in return for a non-cancellable reservation. Something to be aware of, but not necessarily a deal-killer as long as you know what you’re getting into. In the end, we still jumped on the discounted deal. This was a bit of a calculated risk, as someone could have fallen ill forcing us to cancel the trip. Fortunately, that hasn’t happened, so we’re still on track for a good deal. Of course, it’s always possible that something will happen on the trip that will force us to checkout early, but we’re comfortable with that risk given the potential reward. The lesson here is to get the details — all of the details — when determining whether or not an apparent “good deal” is right for you. 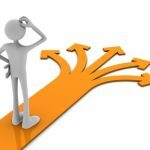 The Paradox of Choice: Why Can’t I Decide? A lot of “deals” have some sort of hook in them, that’s for sure. In this case, the provisos are probably fair. If you book a room for two weeks (a long time in an innkeeper’s season) and then back out at the last minute, the hotelier may have a hard time renting the space — which might have been filled if you’d given enough advance notice. Ditto dodging out before the end of your reserved time: that space may go empty for at least some of the days that it was expected to be occupied. Either way, the hotel loses money. You can get trip insurance, if an illness or accident will leave you on the hook for a substantial amount. In this case, IMHO, you made the smart move: grab that deal!